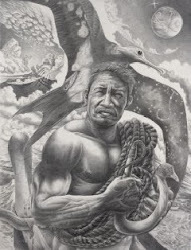 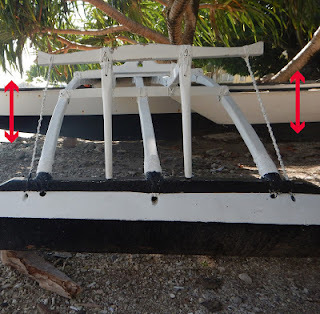 11/11/15 - Here is an Outrigger Attachments page. 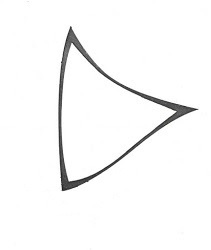 I'm showing 3 basic types. 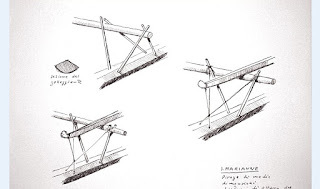 My approach and terminology may be a bit amateurish but at least it's a cursory look at this fascinating topic. 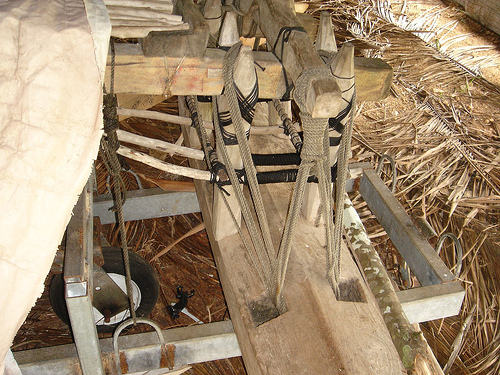 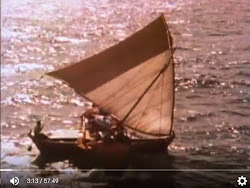 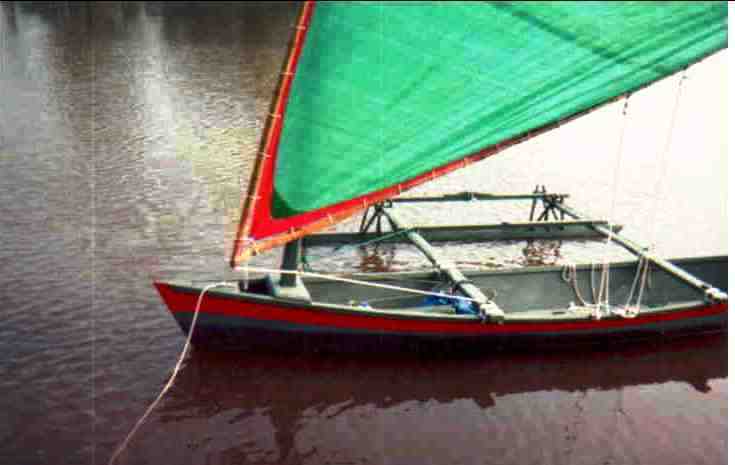 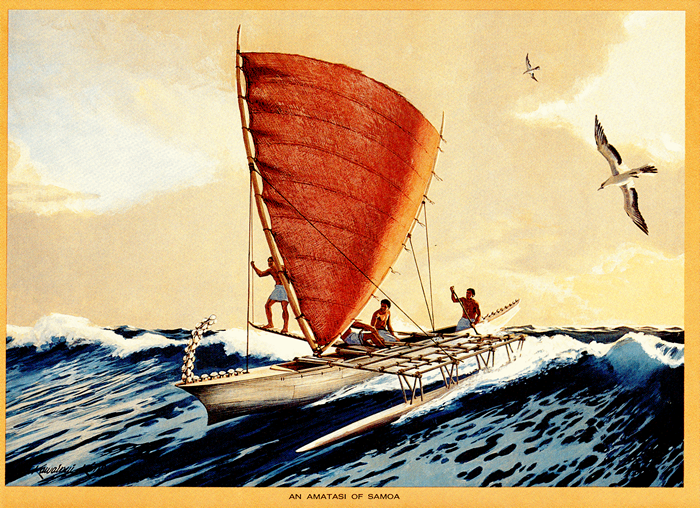 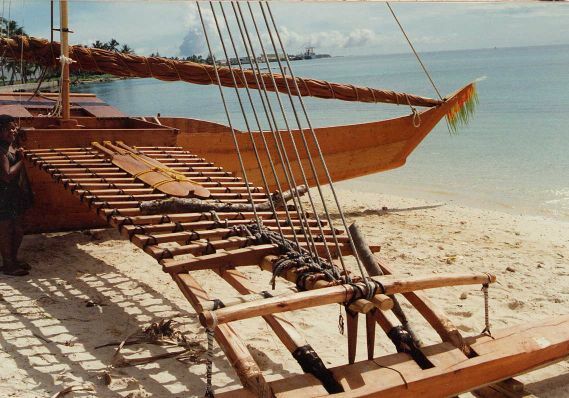 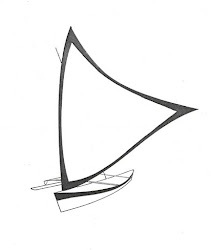 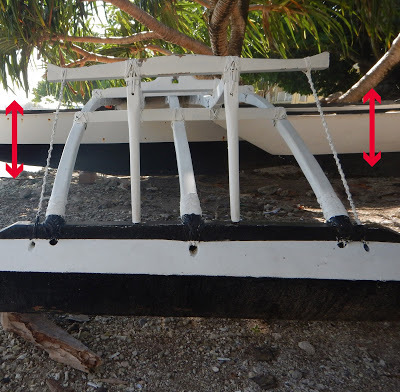 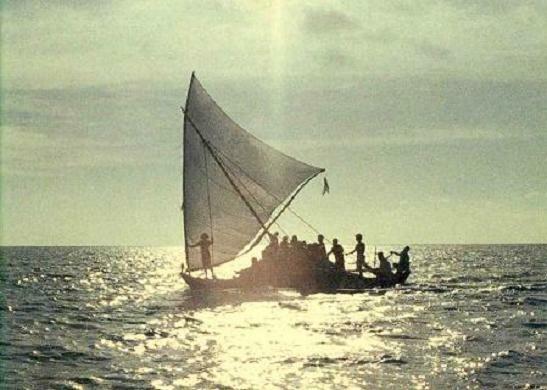 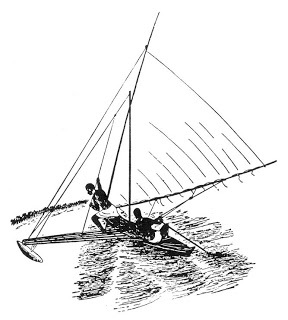 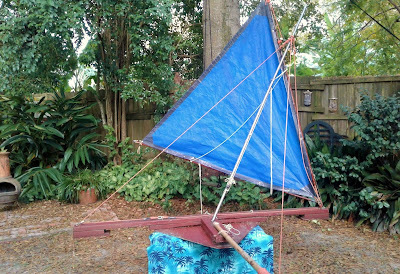 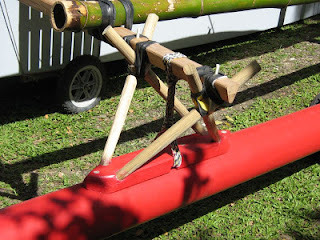 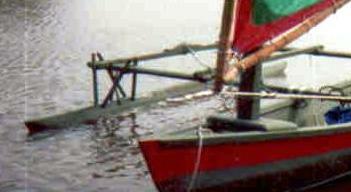 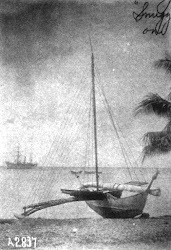 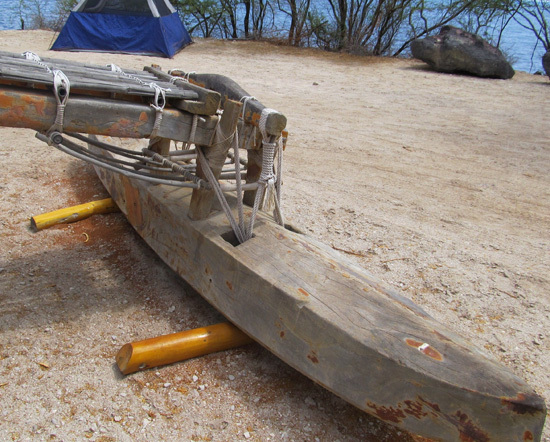 Note that the "struts" may cross below the outrigger boom or above it. 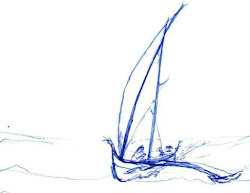 I believe either way is fine. The key to the success of this method is the spread of the struts and the tightness of the lashing. 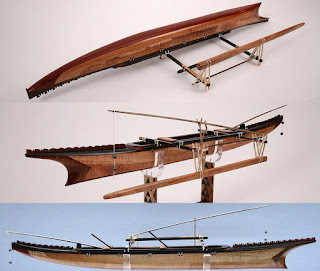 Type II is what I see on the Carolinian canoes. Below are some good examples. 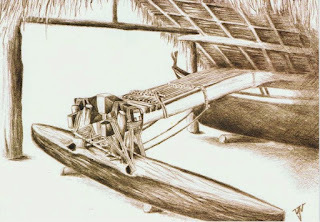 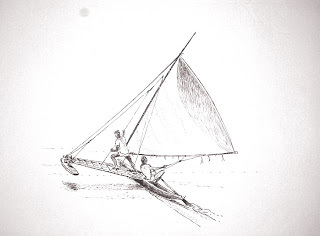 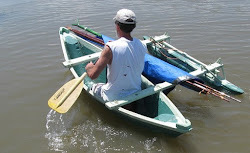 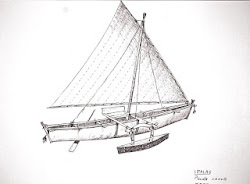 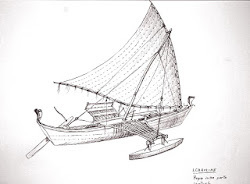 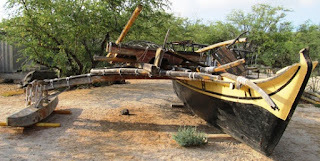 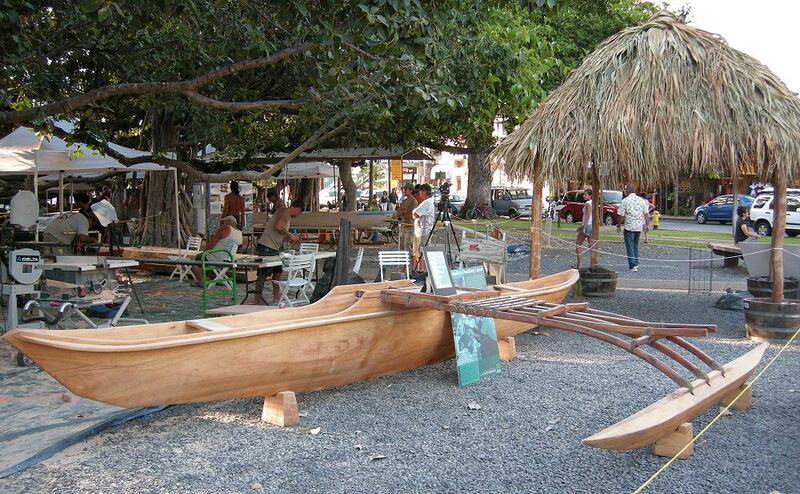 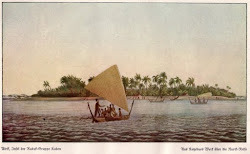 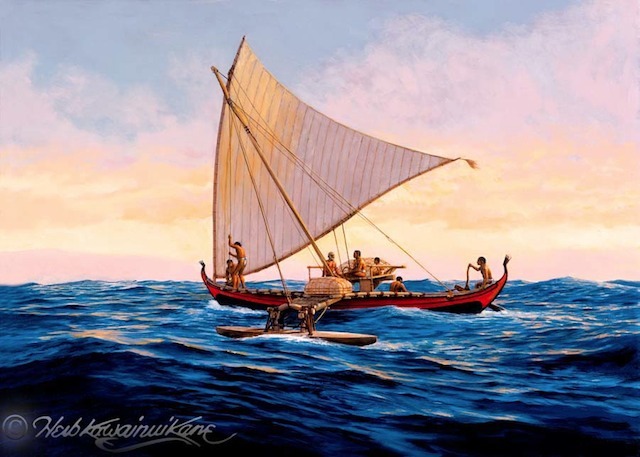 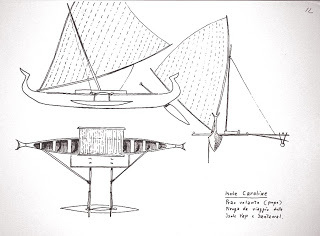 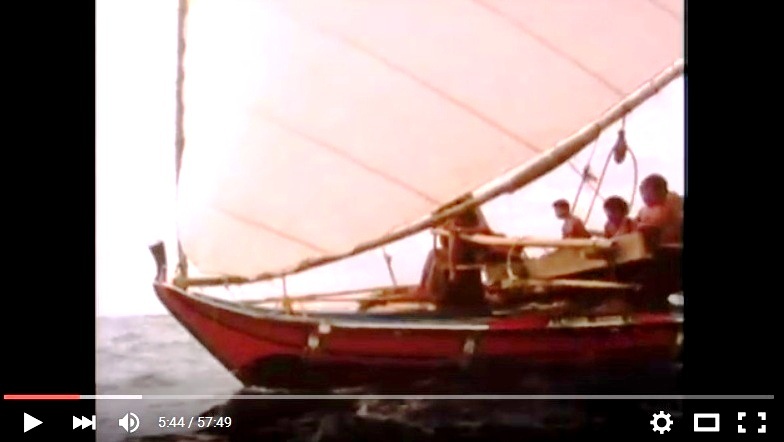 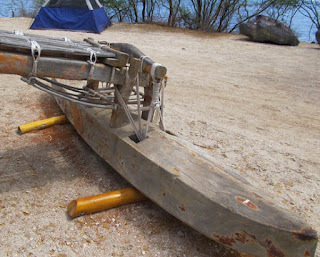 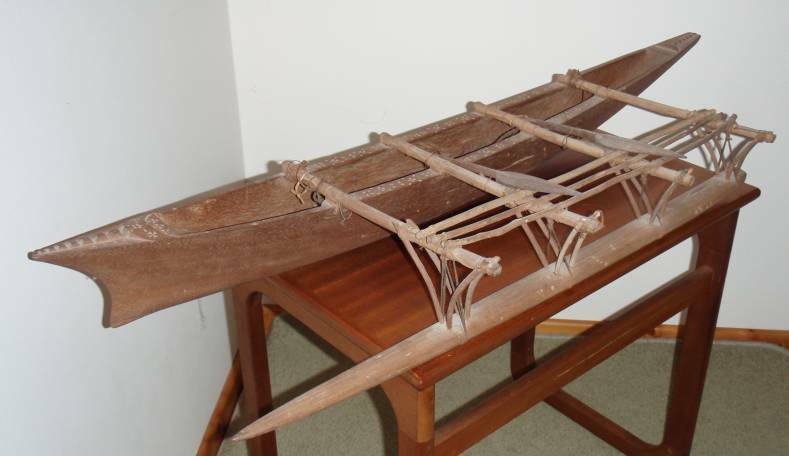 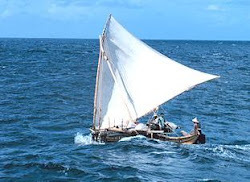 The structure consists of 4 Y-shaped timbers sunk into holes in the float with the outrigger booms nestled down into the top crotches and a yoke timber across the top of it all - bowsed down very tightly with massive lashings. 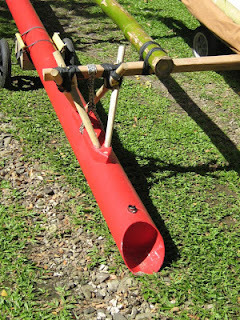 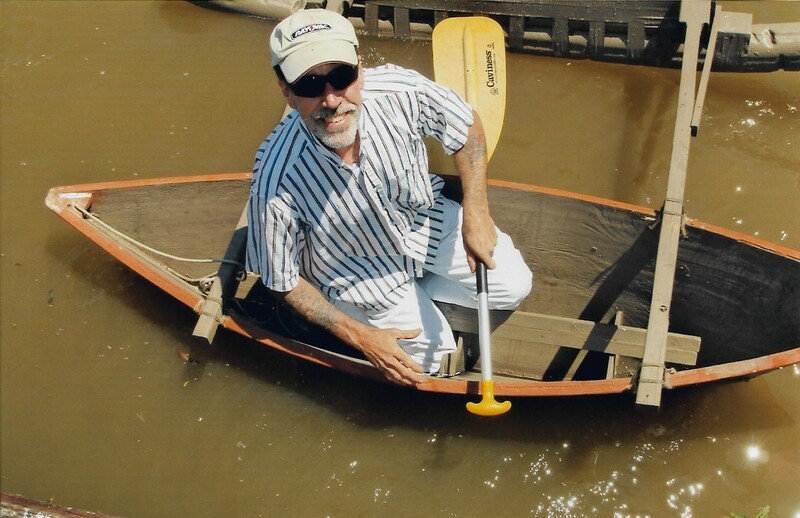 The whole setup seems very robust and suitable for larger size craft. 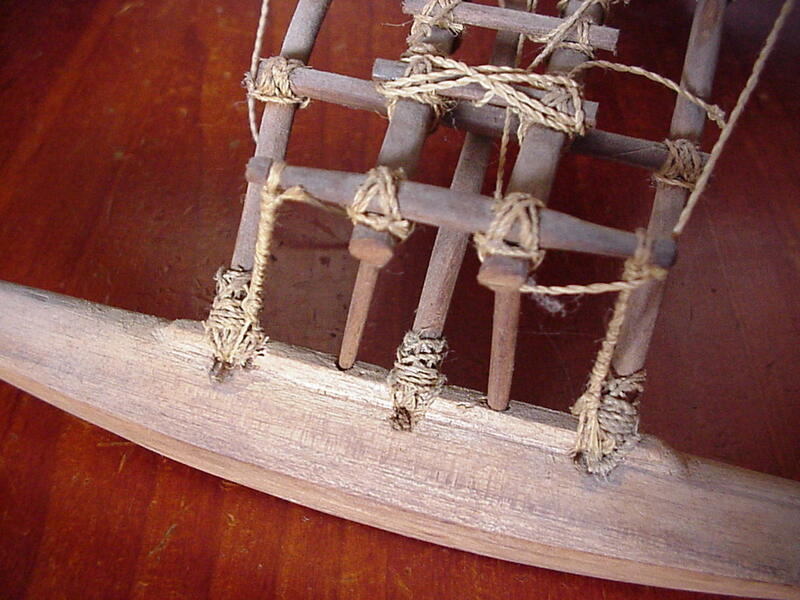 Just as with Type I, the key here is in the tightness of the lashing. 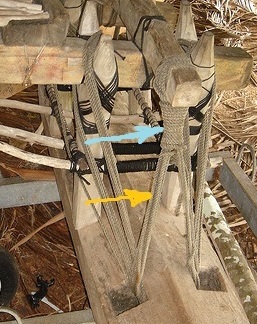 Note in the picture below - the circumferential turns of the lashing (indicated by the blue arrow) pull the other part (indicated by the orange arrow) tighter and tighter as they proceed downward. 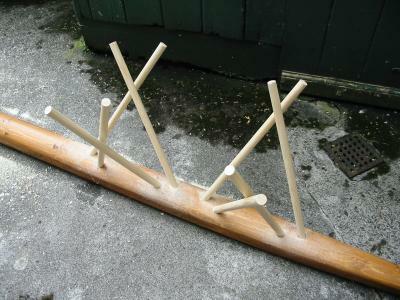 The whole thing becomes bar-tight at some point. Beautiful and elegant - it just looks like there's too much play in that attachment, must not be seeing things correctly.